« Absaroka Region 40th Birthday Party! Please join us for a cup of coffee or a hearty breakfast! Every second Saturday, rain, sleet, snow, or sunshine, the Absaroka Region meets for breakfast, and you are welcome! Meet with us at Grains of Montana located at 926 Grand Ave, in Billings, at 9:00 AM, for good food and spirited conversation. 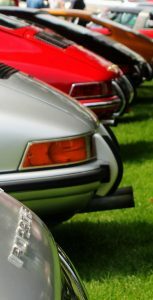 It’s a great opportunity to meet other club members, look at an ever-changing collection of Porsches, and enjoy a tasty meal. It is also a very good reason to get out of bed on a Saturday morning and meet the folks before tackling the honey-do list! Don’t be shy, please join us!